Superior Customer Service. Family owned and operated. Take a look at our current auto repair specials. The NAPA AutoCare Peace of Mind Warranty covers parts and labor for 24 months/24,000 miles. 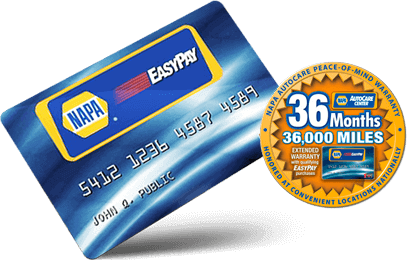 Extend your Peace of Mind warranty to 36 months/36,000 miles with a NAPA EasyPay card. 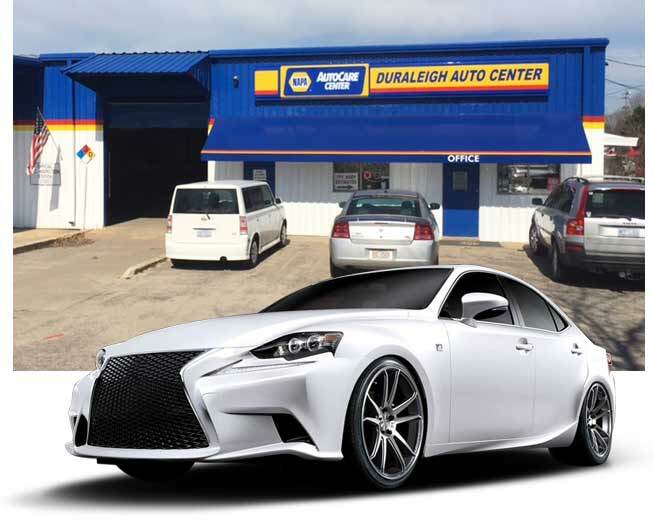 Duraleigh Auto & Collision has been providing superior results and satisfaction to customers of Raleigh, NC since 1996. We are a family-owned business delivering honest and professional automotive repair, collision repair, and maintenance services. The quality ASE (Automotive Service Excellence) certified technicians at Auto Repair Center employ today’s latest automotive technology and are equipped to handle all major and minor repairs on foreign and domestic vehicles. We have a dedicated standard to absolute quality and make sure that each and every vehicle, no matter what size or condition, leaves our facility in its original, pre-collision capacity. We are your one stop shop for general auto repair and collision services. Also known as water print transfer and hydro dipping. It is a decorating process that can be applied to almost any item that can be submerged in water. Call us for a quote! Getting your car towed can be a frustrating experience, but it doesn’t have to be. Here at Duraleigh Auto & Collision, we understand how inconvenient it is to be without a reliable form of transportation, which is why we work hard to get your car back on the road as soon as possible. This service is coming soon! Call us to set up an appointment. We'll pick up your vehicle, give you a quote, and repair it for you. Call us for more details. The experienced technicians at Duraleigh Auto & Collision can make repairs on domestic and foreign vehicles of all years, makes and models.